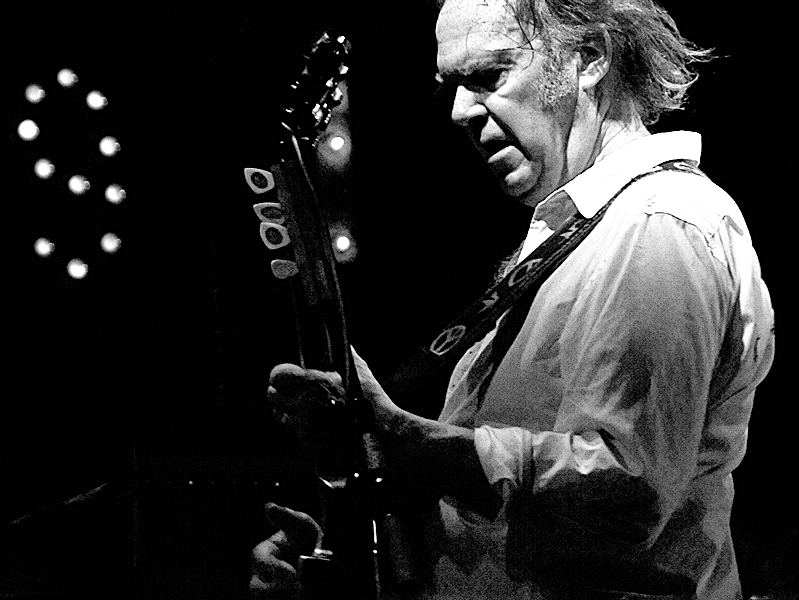 Neil Young Still Rockin’ In The Free World! I’m not sure that for me the name Neil Young immediately calls to mind the notion of cutting edge. I mean, I always think of him as being smart, and plugged into certain issues, but I have always kind of framed them in a notion of him as some kind of hippy rock star, but I have been selling him short it seems. To remain relevant for all this time you have to be doing something very right, and Young still surprises with his music, and is still held in high regard by fellow musicians. To be in artistic control of one’s career one has to be in control in other areas as well – primarily the business part of the music business. If your money has been made from how your music sounds, it would make sense that you’d want it to be delivered in the best way possible, meaning the highest quality sound. Quality isn’t necessarily the foremost concern of a lot of streaming services, and this means that the audio quality, after compression into often lossy formats, and then taking the bandwidth issues into account, isn’t anywhere near the way the artists wants it to be. So, Xstream, Young’s own platform is adaptive and detects what bandwidth you are using, seeking to correct these shortcomings of other streaming platforms. Young withdrew his music from other platforms, and this has allowed him to present his extensive catalog in the way that he wants it to be experienced. There is more than one way to interface with the music and other materials that Young has made available, all of them chosen and crafted by the artist himself. A lot of people are interested in directly paying the artists whose music they listen to. Micro-transactions and subscription services have been really successful for some people, allowing them to continue working where working for a record company was untenable. Does it work for the unknown as much as the established artist? There are examples. The thing is, if someone in a position of power, like Neil Young, leads the way, and can demonstrate that his model works, then younger artists can follow in his footsteps, and they are going to be better protected and more in control of their catalog. As far as money flowing towards this kind of thing – if it proves profitable then the record companies aren’t going to have a problem with it. Who wants to have any artist locked up in a contract where they can’t actually sing or do what they want? Who wants them to be shackled so that they can’t release a record? Well, obviously some companies do, but it doesn’t really make sense. The artist is generally doing something that no one else can do, and if they want to go in a different direction and experiment and grow, they should be able to. It may be that record companies really just become the stables for the new acts, who stay with them until they reach a certain point, and then they fly the nest to go out on their own. If you are an older artist and a record company doesn’t see you as that saleable and decides to silo your career and turn you into a classic hits act, where you do little more than karaoke your own songs, then why shouldn’t you be able to find other ways to take yourself on the road? There are people who have found a new lease of life thinking this way – strengthening the communications with their fan base, and using those fans to fund their work – fans who want to see more work … it’s genius. Not everyone can do what Bowie did, and sell Bowie Bonds, but if you can churn out a song a month, or something like that, then you can charge a susbscription, and if you get enough people interested you can start to make a regular amount that keeps you ticking along while you make music.